1. Chelsea Peretti will be at the Lincoln Lodge May 31 and June 1, according to The A.V. Club. For a slightly NSFW joke of hers, look at this picture. 2. Chicago Humanities Festival&apos;s Stages, Sights and Sounds ramps up May 2 with these productions: DynamO Théâtre’s Mur-Mur (The Wall), Vélo Théâtre’s The Postman, Nearly Lear, Fairy Tales and Theater Un•Speak•Able’s Superman 2050. 3. 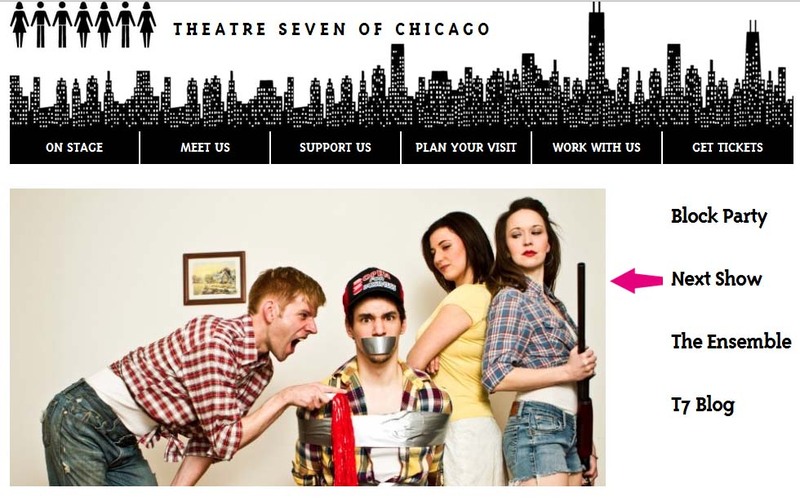 The League of Chicago Theatres gave Theatre Seven of Chicago the 2012 Broadway In Chicago Emerging Theater Award. “We are thrilled to receive this extraordinary honor from our peers throughout the city, as well as the generous folks at the League of Chicago Theatres and Broadway in Chicago,” said Managing Artistic Director Brian Golden in a statement. “Our company is organized around the belief that great art is both a product and creator of strong communities, and we are very grateful to have this opportunity to deepen our commitment to telling stories that matter to Chicagoans today.” Deb Clapp, Executive Director of the League of Chicago Theatres, added, “The company and its mission of producing new and original work exemplifies the spirit of this award and we look forward to celebrating their achievements at our annual Gala on May 14, 2012.” Also I have not seen their website in a time, but it looks good. 4. Rachel Dratch has added another performance to her appearance at UP, Second City&apos;s new club, scheduled for this weekend; this one is on Saturday evening. She&apos;s promoting her new book, Girl Walks into a Bar.